The easiest every Gin and Tonic Cake. 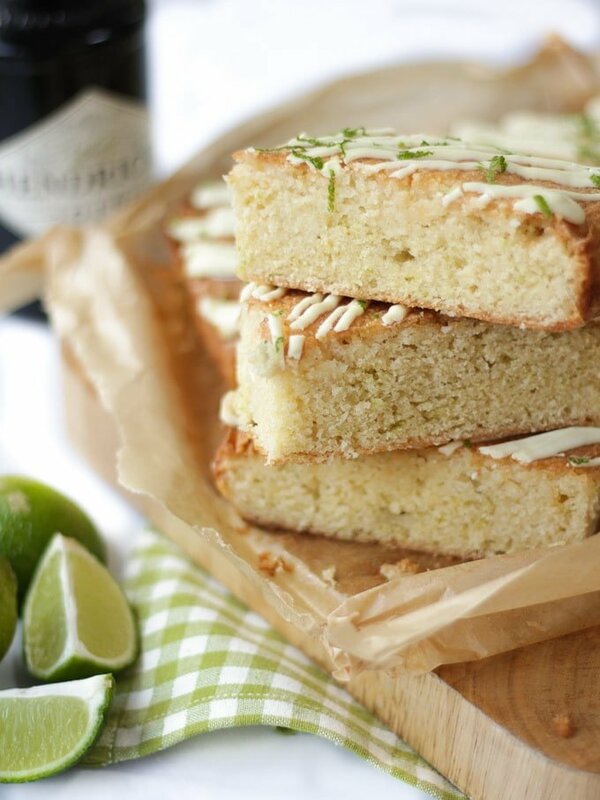 These Gin and Tonic Cake Bars are super simple and delicious. 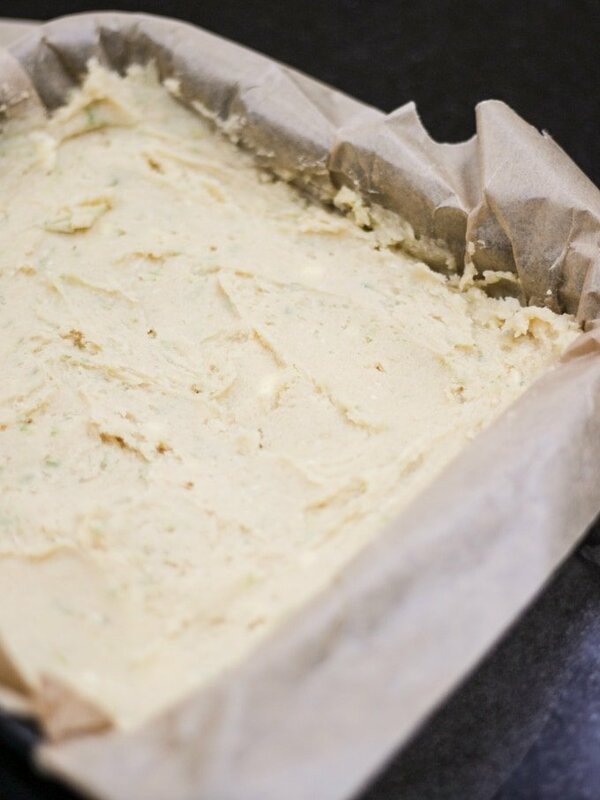 An easy bake packed with gin and tonic flavour, with zesty lime and a crunchy glaze. Based on a lemon drizzle cake style recipe, with gin infused syrup and topped with white chocolate. 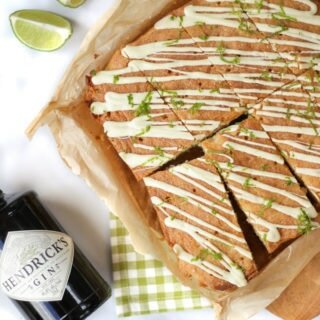 A must bake for G&T fans! I’m not often an early adopter. I remember being dubious about whether email would catch on (HA!) but I can happily tell you, that I was drinking Gin and Tonic ahead of the curve. I know. I sound ancient just writing those words. But it’s true. Pat Butcher was the only other person I knew who drank G&T, but I couldn’t help myself. Even as a 20 something about town, I’ve always loved a Gin and Tonic. Easy to drink, refreshing, the bitter tang of a tonic making it feel everso slightly medicinal somehow. Now the world has caught up and G&T has become right on trend, that’s a reason for a Gin and Tonic Cake to celebrate surely?! I baked this cake in my new Belling oven which I’ve mentioned in my recent recipes. They asked me to create some recipes for their site and this is one of them. I’m super impressed by how both the top and bottom oven cook cakes so evenly with a perfectly golden top. No mid baking turning required here – hurrah! What is in a Gin and Tonic Cake? 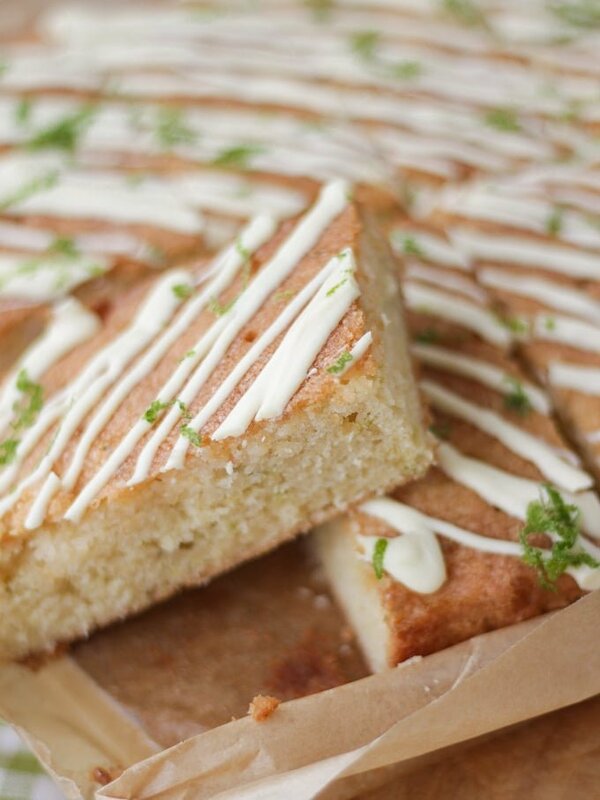 This Gin and Tonic Cake bars recipe uses a really simple basic sponge recipe, with a couple of additions. Ground almonds keep the bars moist and give them a slightly more dense and delicious texture. Even if you don’t like almonds, please try adding them as you can’t taste them. Lime zest adds flavour to the sponge. My secret weapon for any recipes with citrus zest in is my Microplane Zester. I know I’m a wimp but I used to hate making lemon drizzle cake before splashing out on one of these. 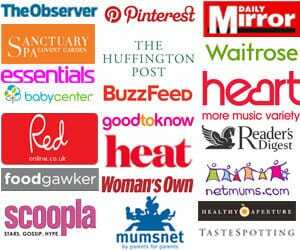 They have SO many glowing reviews on Amazon and some colours are currently on sale with 40% off, woohoo for lemon and lime cakes! You can buy them here on Amazon: Microplane Premium Zester. Finally, the cake is soaked in a gin and tonic drizzle to add the all important boozy flavours. 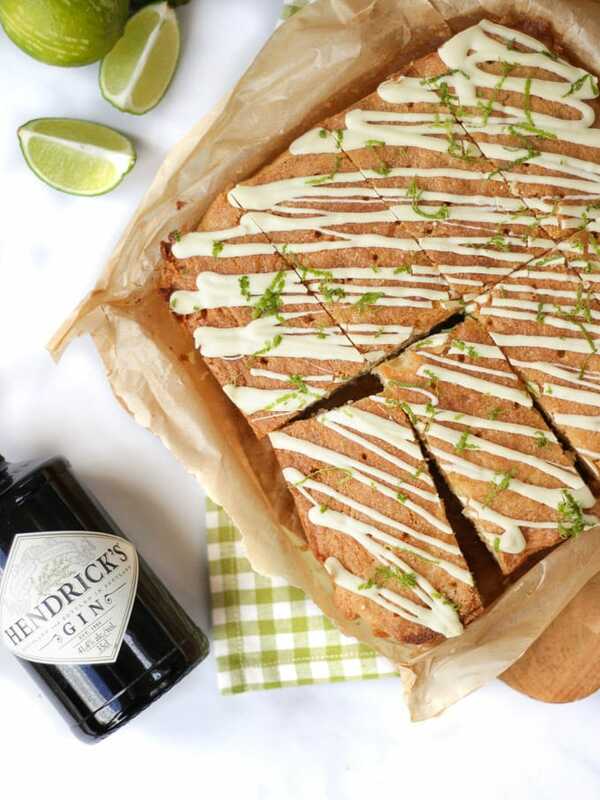 How do you make a Gin and Tonic Cake? This cake uses the traditional method of beating the butter and sugar, adding eggs and flour and then baking (with the addition of ground almonds). When the cake is warm, you drizzle it with a delicious gin and tonic glaze, then top with some melted chocolate and limes zest to finish off. I’ve called these ‘cake bars’ as it’s the way I cut up the cake, but you can call it whatever you fancy, and cut into squares if you prefer. How long will Gin and Tonic Car Bars stay fresh for? These cake bars are best within a couple of days of baking, but if you store them in an air tight tin, they will be fine for up to 5 days. Bet you can’t make them last that long! Can you freeze Gin and Tonic Cake? You can freeze this cake before topping with the white chocolate. Just wrap well in baking paper and defrost at room temperature. The texture won’t be quite as good as freshly baked but it’s absolutely fine. 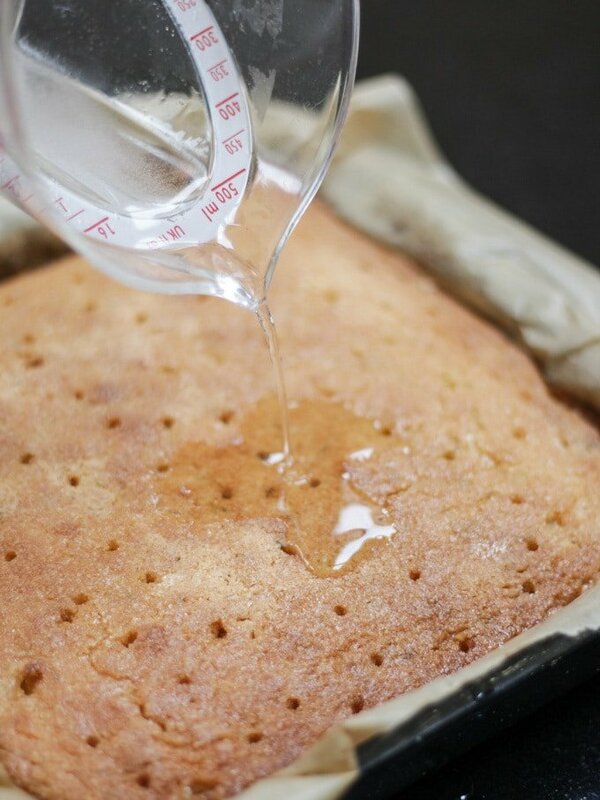 Can I use a different sized tin for making this Gin and Tonic Cake recipe? I use a tin like this one. It’s a 23cm Masterclass Square Baking Tin. I love this little tin for making brownies and cake bars that are the perfect size every time. It costs about £7.50 and I’d definitely recommend investing in one to add to your baking cupboard as it’s such a good size for shallow bakes like this one. You can buy it here on Amazon: 23cm Masterclass Square Baking Tin. If you don’t have this size tin, try to use whichever you have that is closest and just bear in mind that your cake bars will need more or less cooking time and be deeper or more shallow if you vary the tin size. 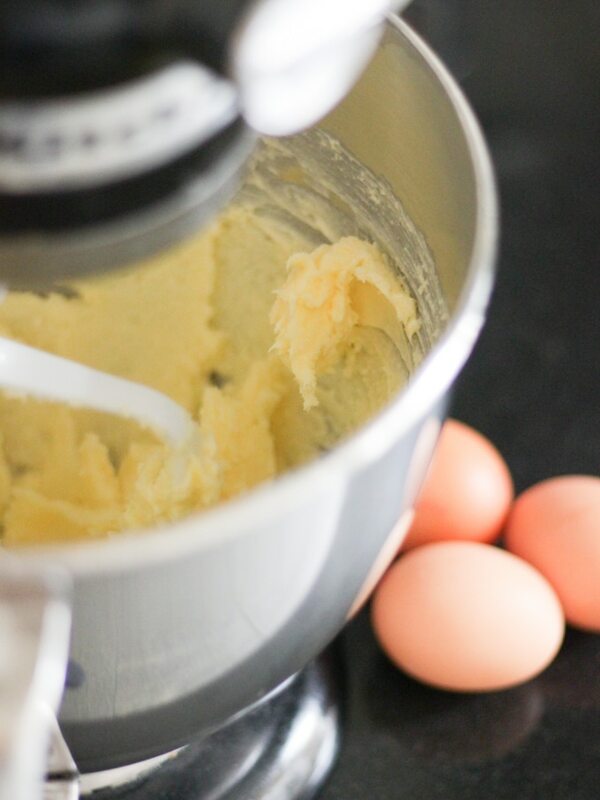 Be sure to use unsalted butter (not margarine) for the best flavour. Make sure that you line your tin with baking paper or baking parchment (not greaseproof paper!) so that they don’t stick. Pricking the cake with a skewer will give you the best drizzle holes. I have these skewers, which I also always use for testing if cakes are cooked through! Available on Amazon: KitchenCraft Skewers about £2.25. Fancy some other easy cake recipes? How about my Nutella Cake or my Chocolate Orange Cake Recipe? Hope you enjoy this recipe as much as we do. 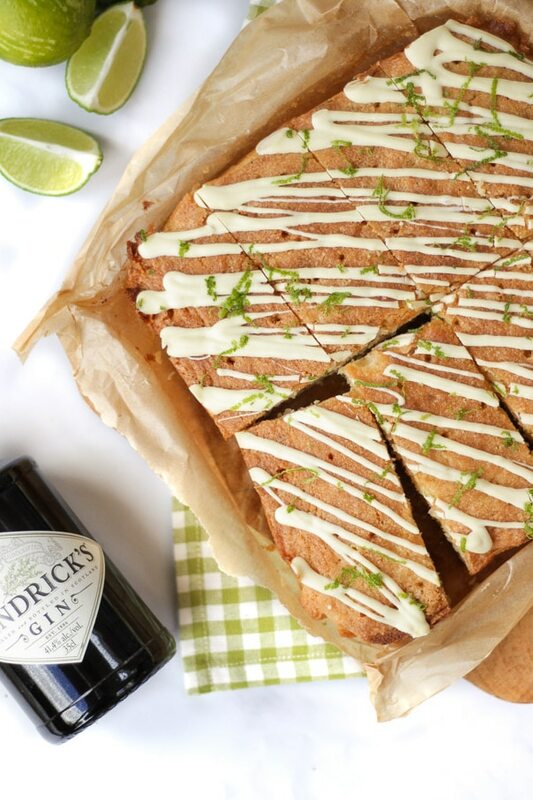 I’d love to know how you got on and what you thought of it if you make this Gin and Tonic Cake Bars recipe. Please rate the recipe and leave me a comment below if you do. Bake for 30 - 35 minutes until springy and golden. Meanwhile, mix the drizzle in a jug until the sugar dissolves. When you remove the cake from the oven, prick the cake all over with a skewer to make small holes in it. Whilst still warm, pour over the drizzle. Allow the cake to cool in the tin and absorb the drizzle. When cold, decorate with white chocolate and more lime zest. Cut into bars or squares.